It’s amazing how your perspective changes when you have a child. For Peter and Sharon Exley, it was a game changer in their profession. After following typical career trajectories in the architecture and design fields, the Exleys started seeing the world through their young daughter’s eyes. That’s when they noticed a lack of architecture dedicated to the whimsical nature of children’s imaginations. In 1994, they took action, devoting their Chicago-based firm, Architecture Is Fun (AIF), to creating playful and educational environments. Since then, the husband-and-wife team have designed children’s zoos, museums, schools, parks, libraries, science centers, and other facilities where kids can be kids and adults can be kids again, too. The Exleys are fully immersed in the architecture world. In addition to serving as Director of Architecture at AIF, Peter Exley is the 2013 AIA Chicago president, as well as Adjunct Professor of Architecture, Interior Architecture and Designed Objects at the School of the Art Institute of Chicago. Meanwhile, AIF President Sharon Exley is also the founder of interiors firm Fun Finders and an author of several books, including a collaboration with Peter, Design for Kids. To infuse their designs with a sense of childlike wonder, the Exleys root AIF projects in a tried-and-true ancient philosophy. 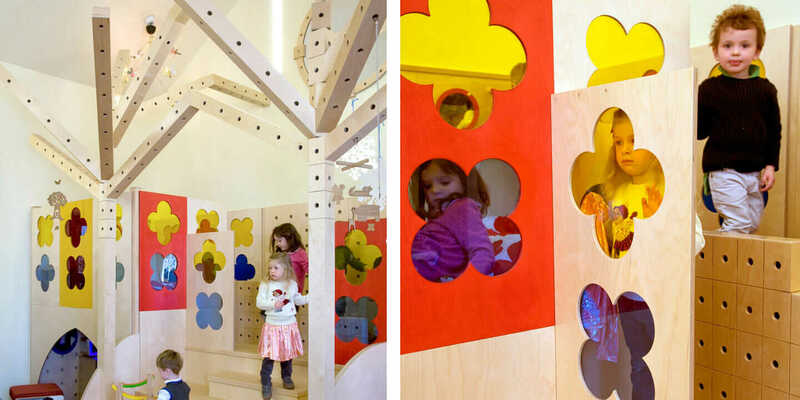 The Exleys’ first client was Chicago Children’s Museum. Since then, children’s museums have become the norm and an area of expertise. Recently, they were approached by the Children’s Museum of Fond du Lac in Wisconsin. After receiving a large donation, the museum decided to move from a community center to an old supermarket in a strip mall. Part of the process was understanding children’s needs. “You know the rigmarole of going anywhere and the paraphernalia that you take with you? Children’s museums are not difficult places to plan, but there are details and nuances,” Peter says. Now in construction, the museum is expected to reopen this summer. Read part two in the Architecture Is Fun story, in which Peter Exley discusses designing a safe haven for families of sick children, an innovative entertainment complex in Brazil, and facilities that bring unexpected revenue to towns and churches.